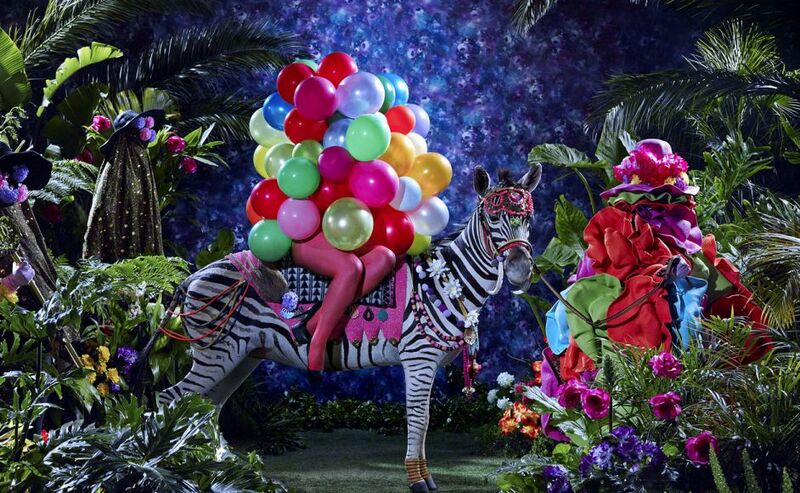 Athi-Patra Ruga was born in Umtata, South Africa. 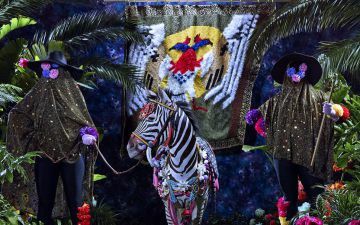 Currently, Ruga lives between Cape Town and Johannesburg and his practice spans across the mediums of costume, performance, video and photography. 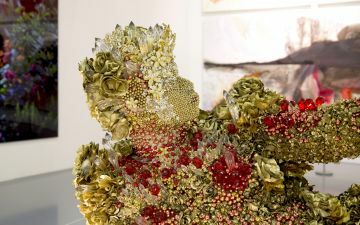 His playful visual imagery draws from a diverse range of cultural references that are not limited to a specific biology, ancestral origin, or geographical location. The queer hybrid figures represented in Ruga’s work exist in a liminal world between the utopian dream and reality. 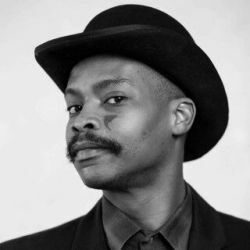 Their sensuality and popular appeal within contemporary art, successfully challenge the heteronormative social construction of African history and knowledge, including the critique of its dogmatic control on the continent. 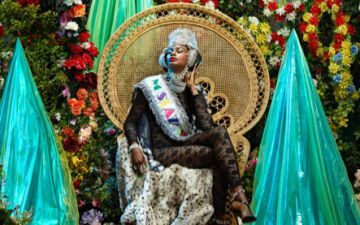 Select solo exhibitions include, Athi-Patra Ruga at Bass Museum of Art (Miami: 2016); The Elder of Azania at Grahamstown National Arts Festival (Grahamstown: 2015); A Land Without A People… For A People With out A Land at In Situ (Paris: 2015), The Future White Women of Azania Saga at WHATIFTHEWORLD (Cape Town: 2014); Ilulwane at Long Street Baths (Cape Town: 2012) and at Performa 11 (New York: 2011); and Teeth are the Only Bones that Show at WHATIFTHEWORLD (Cape Town: 2010). 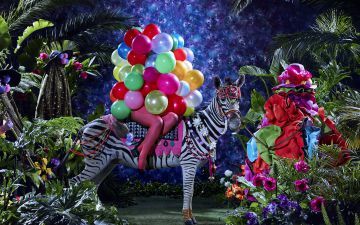 Notable group exhibitions include Art Afrique at Louis Vuitton Foundation (Paris: 2017); Women’s Work at Iziko South African National Gallery (Cape Town: 2016); The Elder of Azania, a solo Performance at Johannesburg Pavilion, 56th Venice Biennale (Venice, Italy, 2015); AFRICA: Art, Architecture, Culture and Identity at Louisiana Museum of Modern Art (Louisiana: 2015); The Film Will Always Be You: South African Artists on Screen at Tate Modern (London: 2015); and Broken English at Tyburn Gallery (London: 2015). His works form part of private, public, and museum collections across the globe. 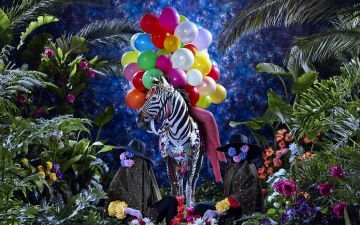 These include the Iziko South African National Gallery, the Museion Museum of Modern and Contemporary Art, Bolzano Italy; the CAAC Pigozzi Collection and The Wedge Collection.